The United States' apparent reluctance on extraditing Fetullah Gülen, one of the most wanted people in Turkey, remains a deep rift in relations between the two countries. Ankara had formally requested Gülen, leader of the Gülenist Terror Group (FETÖ) to be extradited on July 19, 2016, four days after a coup attempt by FETÖ's military infiltrators that killed 250 people. Since then however, Turkish officials believe they have been "stalled." Turkish and U.S. delegations held talks on July 13 in Ankara for the extradition of the FETÖ leader and on the fight against the terrorist group. Addressing reporters Thursday in the Turkish capital, Foreign Ministry spokesman Hami Aksoy said they emphasized at the meeting, attended by officials from the U.S. Department of Justice and the U.S. State Department, that the United States should not "keep stalling" Turkey. Gülen, who arrived in the United States in 1999, currently resides in a luxurious retreat in Saylorsburg, Pennsylvania. He never leaves the well-guarded compound but often gives interviews to foreign media. He was already facing criminal investigations related to his group when the coup attempt that took place in 2016. Turkey pressed the U.S. for his extradition after the coup attempt, sending hundreds of folders full of evidence implicating Gülen and FETÖ in the coup attempt. The issue was raised in bilateral meetings between Turkish and American officials, in phone calls, letters and other exchanges. 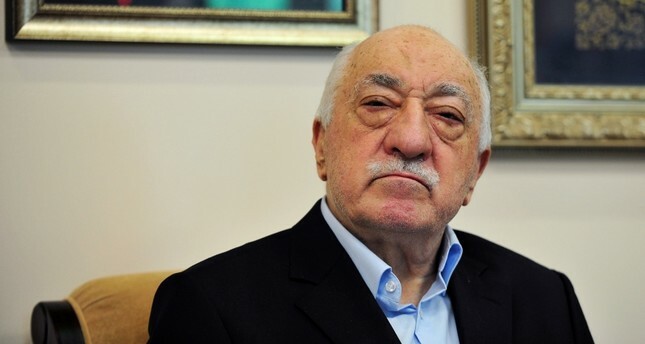 Turkey also sought a preventive arrest, to keep Gülen in the United States after reports emerged that the terrorist leader was planning to flee to another country. As investigations into FETÖ deepened, new evidence showing FETÖ's involvement in the coup attempt were included in the documents for extradition. U.S. officials have previously said that they were reviewing evidence sent by Turkey though a detailed comment on the state of extradition process is yet to be made by Washington. In June, Turkish Justice Ministry delivered new evidence regarding Gülen's connection with the coup attempt. The evidence included phone calls between Hakan Çiçek and a top aide of Gülen. Çiçek, owner of a FETÖ-linked college in Ankara, was captured at Akıncı Air Base, which was used by the putschists as their command center during the coup attempt. Çiçek denied links to the group but his phone conversation with Abdullah Bayram, who lives with Gülen in his Pennsylvania compound, revealed his ties. In a message he sent to Bayram hours before his capture, Çiçek sought an immediate phone call with Gülen, saying it was "a matter of life and death." It is unclear whether he was able to reach Gülen but Çiçek was among the civilians captured at the air base, along with Adil Öksüz, the mastermind of the coup attempt. Öksüz remains at large after his controversial release by a court. Evidence shows he conspired to carry out the coup attempt with Gülenist generals and received Gülen's approval to execute the putsch. The evidence shows that Gülen's network formed a quasi-state within the Turkish government and attempted to topple it with the ultimate intent of taking over the state through a vicious coup. Despite Ankara's determined efforts, the administration of former U.S. President Barack Obama took no action against the U.S.-based terrorist leader. Under normal circumstances, Gülen should have already been arrested since Turkish authorities issued an official request for his extradition under the 1979 treaty between the U.S. and Turkey. Former Justice Minister Bekir Bozdağ has gone to the U.S. several times to expedite the legal process and met with U.S. authorities, including U.S. Attorney General Jeff Sessions; however, no formal steps have been taken on the issue so far. It remains unclear whether the United States will take more concrete steps towards his extradition as Washington does not view FETÖ as a terrorist group. Three Turkish court orders were already rebuffed due to lack of probable cause by the American judiciary. Turkey has already secured the extradition of several key FETÖ figures from other countries. Six Gülenist executives were extradited from Kosovo in March. Although Turkish officials have not disclosed how many were extradited or captured by Turkish intelligence altogether so far, official numbers show more than 80 putschists were brought to Turkey from around the world since the 2016 coup attempt.